Secretary of State Pompeo blasts John Kerry's meeting with Iranian officials since leaving office. 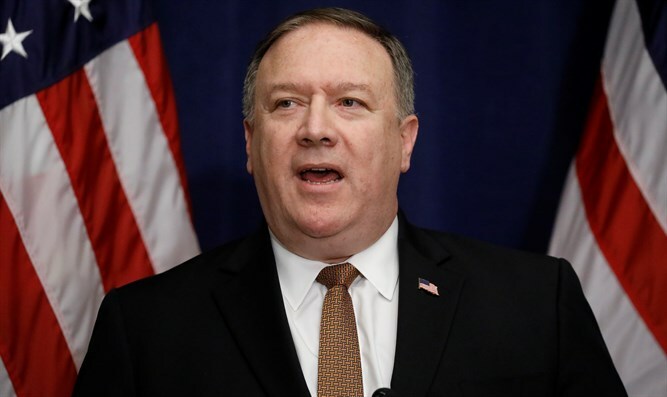 US Secretary of State Mike Pompeo on Friday blasted former Secretary of State John Kerry’s meetings with Iranian officials since leaving office. "What Secretary Kerry has done is unseemly and unprecedented," Pompeo told reporters at the State Department, according to CNN. "This is a former secretary of state engaged with the world's largest state sponsor of terror and according to him, he was talking to them, he was telling them to wait out this administration," Pompeo added. "You can't find precedent for this in US history and the secretary ought not engage in this kind of behavior," Pompeo continued. "It's beyond inappropriate." Kerry admitted this week that he met with Iranian Foreign Minister Mohammad Javad Zarif “three or four times” since leaving office but denied he was trying to coach him through the Trump administration’s rejection of the 2015 Iran nuclear deal. Kerry has repeatedly argued in favor of the Iran deal, which he helped broker while serving as Secretary of State and from which President Donald Trump withdrew in May. More recently, Kerry ripped Trump in an interview on CBS for deciding to leave the 2015 nuclear deal, claiming the President “doesn't know what he's talking about”. Pompeo’s remarks came hours after Trump attacked Kerry on Twitter and said that the former Secretary of State’s meetings were "illegal." "He told them to wait out the Trump Administration! Was he registered under the Foreign Agents Registration Act? BAD!" he added.